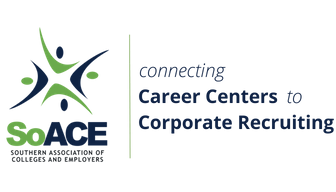 Be a part of the Annual SoACE Employer Relations Summit! All cancellations and refund requests must be received in writing. Any refund requests received before May 25 (5 PM EST) will receive a full refund less a $75 cancellation fee. Any refund requests received May 25 - June 8 will receive a 50% refund. Any requests received after June 8 at 5 PM EST will receive no refund. Cancellation requests must be received in writing to the SoACE Office: [email protected]. The Summit may be cancelled or postponed due to unforeseen circumstances. In this case, registration fees will be refunded; however, SoACE will not be responsible for additional costs, charges, or expenses, including cancellation/change charges assessed by airlines, hotels, and/or travel agencies. SoACE is not responsible for weather-related travel delays or other issues in regard to personal travel and no refunds will be given due to these occurrences. The Summit will be held at The Westshore Grand Hotel. SoACE attendees will receive a group rate of $145.00 plus applicable taxes. This block will be open through May 31, subject to availability. Click here to reserve your hotel room for the 2019 ER Summit. This hotel provides a complimentary airport transportation/shuttle. My program will share how I created a cross campus collaborations group with career center staff, department chairs, deans, program directors and corporate development officers. This collaborative team discusses ways to best engage key employer partners across campus without competing or creating silos. Our goal is to present a united front to all external partners, specifically recruiting organizations. I will share some of the programs we have created together, how the development office is involved, and some land mines to watch out for in the process. Diversification and Inclusion remain trigger words in Corporate America, as well as in Higher Education. Often times both entities try to innovate in non-collaborative ways in that space. As previous methods of creating panels or information sessions wither away, the demand for new avenues to connect diverse talent with organizations who aspire towards diversification of its workforce emerges. Enter a collaboration between Sealed Air and UNC Charlotte. This program seeks to introduce a new way to promote collaboration; retooling an existing program from the career center with an eye towards meaningful connection that yielded high results. Participants will learn more about how the program developed, an honest assessment on return on investment for both the career center and employer, and how to utilize the strategy in various ways at your institution. As universities focus more on post-graduation outcomes and government-imposed metrics, the Office of Employer Relations at the University of South Florida has helped the University reach pre-eminence by maximizing it's use of a shared Handshake platform. Session participants will learn how a large, pre-eminent, research institution leverages limited resources and maximizes decentralized partnerships through a shared Handshake platform. Since implementing in 2016, our team of 4 professional staff has onboarded 60 campus partners to the Handshake platform and nearly 20,000 employers. Campus partners use Handshake to support students with the job search process, increase employer referrals, and increase the transparency of career programs embedded within our 11 colleges. In this session, we will cover several key processes that we have streamlined to keep up with demand, including: Employer Approvals, Campus Partner Onboarding & Training, Employer Development, and targeted Career Events. Participants will take away tools and resources that we have developed for campus partners, employers, and students, as well as lessons learned and next steps for improving their own processes. OSU Career Services maintains a constant growth trajectory and a high customer service reputation when it comes to career fairs. Alicia Low and Justin Siler from OSU Career Services will discuss how to leverage employer relations and how detail centric event planning results in a unique, 'must attend' event for employers. We'll share targeted communication and outreach strategies, how to leverage campus partners, and how to utilize student survey data. The session will also take a dive into the logistics of creating a successful event, including how adding small details can make a big impact to the employer's experience. To conclude, we'll take a look at how employer relations can continue during and following the event. Through interactive discussion and activities, attendees will learn how they can use this information to improve and implement ideas at their own organizations, no matter the size. Additional media showcasing our events will be incorporated into the program. The Toppel Career Center's Employer Engagement team realized that it was a challenge to accurately track employer involvement and measure employer outcomes on a consistent basis. As a result, we had a limited understanding of our most active employers and found it difficult to create structured plans for outreach and development with the employers that were less engaged. During the past year, we incorporated several initiatives and utilized multiple platforms in order to further develop our employer relationships. Our overall strategy has continued to evolve, as it is a priority to incorporate the most accurate data in our decision-making and outreach efforts. By reworking a job description, utilizing Handshake, and constructing an Employer Engagement Index, we have been able to take a comprehensive approach to tracking our relationships with recruiters at a variety of organizations. In addition, we are looking to the future when Salesforce will be implemented. This CRM will allow us to organize large amounts of employer data and turn that data into positive results. The ultimate goal for crafting this initiative is to use the data to engage employers at a higher level. Questions? Contact the SoACE Office by email or phone 1-877-946-1013.